There a million quips to be had from this story: N.F.Farage opening for the Gentlemen etc but I shall desist. So instead of reporting this to you in my own words, and not being able to do it justice, here’s the full story from todays Beeb website. As a regular (every morning about 6:30) cricket tourist, I am not sure I’d have made myself available for this one. Nevertheless, it’s a fascinating read. Great stuff. The visits of sports teams to Nazi Germany in the 1930s still generate controversy today, from the Berlin Olympics’ anti-Semitism to the England football team’s Nazi salute in 1938. But a new book tells the story of a cricket team from Worcestershire that found itself at the centre of a now-forgotten furore. In August 1937 the Gentlemen of Worcestershire cricket club arrived in Berlin to compete in three games organised by members of the Nazi hierarchy who had developed an interest in the sport. The Nazi Reichsportsfuhrer Hans von Tschammer und Osten had visited England to watch the Davis Cup tennis semi-final between Germany and USA at Wimbledon. He was also invited to Lord’s as part of a tour of the summer’s sporting events, where he watched Middlesex beat Worcestershire. 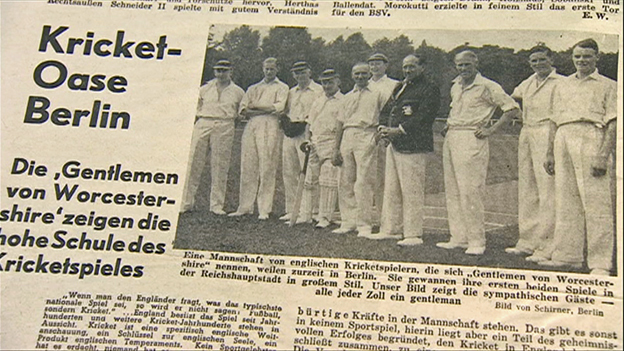 The MCC recorded the visit, and it’s likely that von Tschammer met Maj Maurice Jewell, a former Worcestershire player and stalwart of the Gentlemen of Worcestershire, and asked him to bring a cricket team to Berlin. 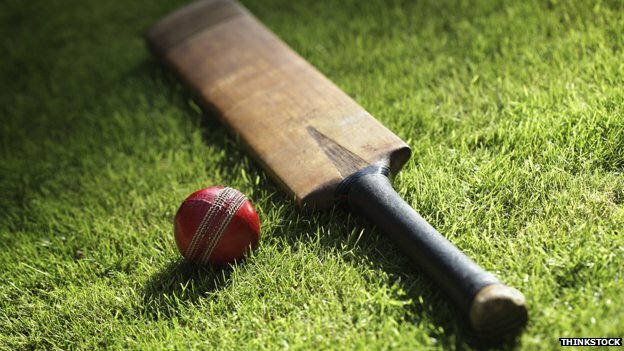 The Gents, as they are still known, are one of the oldest surviving cricket teams in the world, having played their first match in 1848. 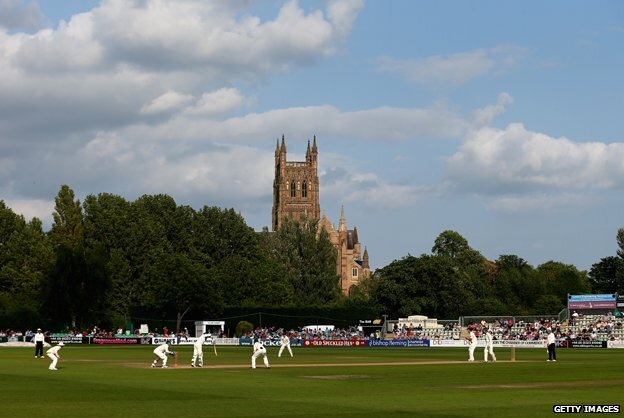 Known as a wandering or nomadic club, with no home ground, the team has always been made up of a group of cricket enthusiasts and predated Worcestershire County Cricket Club. After the Nazi minister’s request, Jewell was able to rustle up a team of wealthy gentlemen, five of whom had played first class cricket for Worcestershire, as well public schoolboys who could travel within a few weeks to Berlin. The Gentlemen were too good for the Germans and won all three games comfortably. But what went on off the pitch was more remarkable. 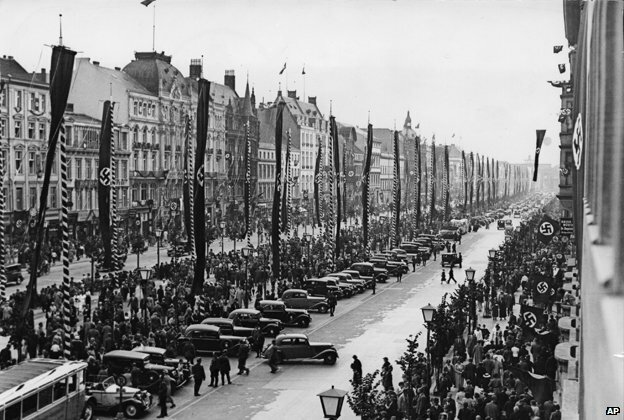 The team arrived in Berlin as the city was celebrating its 700th anniversary in an event manufactured by Nazi propagandists as another excuse to show off military might in a series of parades. The Gents were asked to give the Nazi salute before their first match. As dutiful guests, they obliged. The team had been closely watched during their visit. Although able to enjoy the delights of Berlin’s famous nightlife at first, the close scrutiny under which they were kept had left them increasingly unhappy. The relations between the two teams were generally good, Waddell says, though they disliked the Berlin captain Gerhard Thamer, “who had a penchant for punching fielders who dropped catches off his bowling”. The atmosphere of intrigue around the tour led to speculation that one of the English players might have been a spy. Robin Whetherley was a good cricketer, but had no connection at all to Worcestershire or the Gents cricket club. He even travelled separately. 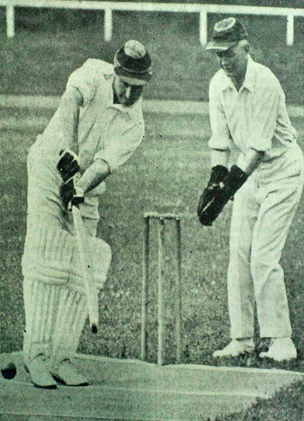 Waddell’s theory is that the English cricket authorities informed the Foreign Office of the tour, and that Whetherley, who spoke German fluently, was asked to join the team and gather information. “There was a very good chance he was sent along by London to keep a very close eye on what everyone was up to, and perhaps when he came back, travel to Whitehall and have a chat to somebody,” says Waddell. Whetherley was killed in the Balkans during the war, while serving with British special forces. All of the players served King and country in the ensuing war, and perhaps because of embarrassment rarely spoke about the cricket tour. One of the players later described Germany as a “strange place” and said they could hear the sounds of gunfire in the background when they played some matches. The players witnessed a torchlit procession along the Unter Den Linden which was described as “alarming and eerie”. A small number of Germans – including enthusiast Felix Menzel – kept the game alive. In 1945, along with a few equally bedraggled friends, he emerged from the rubble to challenge a group of extremely surprised British troops to a game of cricket. They played and the British team won, narrowly. But Menzel is now an obscure figure and even the world of English cricket has long forgotten the 1937 tour. This entry was posted in Misc and tagged BBC, Cricket, England, funny, humour, journalism, Sport by The Ed. Bookmark the permalink.